All the people we meet, strangers and all, tend to look and notice our face first, whether consciously or not. At this age of make-up evolution, learning the ins and outs of beauty essentials definitely would not hurt. Be the first to know and experience the latest, trendiest, most advanced way of Make-Up Artistry in Lynnwood. At Le Visage Wellness, you are ensured that we only offer the best practice, by your choice of style and color. We create the kind of look you want to achieve, and if you are apprehensive of the type of make-up that will best enhance your naturally beautiful features, that is where our specialists step in. They are experts in providing advice on how you will look best whatever the occasion is. We make a one-on-one makeup application for special events like weddings. 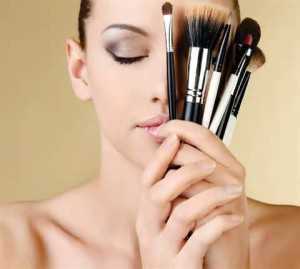 We also cater to those who want to take up Make-up Lesson and Application. With this, clients are given lessons on new make-up styles, choosing the best colors that will enhance their features and learning to make the professional make-up application. Creating a flawless look is something we’re expert at. Whatever imperfection there is, we make sure that you achieve the perfection we all want, hiding the blemishes, scars and any discoloration. What a great takeaway if you take advantage of our Make-up Lesson and Application. Make-up is powerful, it has the ability to transform us into different versions of ourselves, depending on the kind of look we are sporting, which can be natural, glamorous, fierce, goth, sultry – the list goes on. It can also reflect our current mood. Having said that, make-up can also easily perk up and boost our mood. A single swipe of red lipstick can only take us too far. Let us take you, then, to the world of finest Make-Up Artistry in Lynnwood. Ask us how at (425) 905-2410.